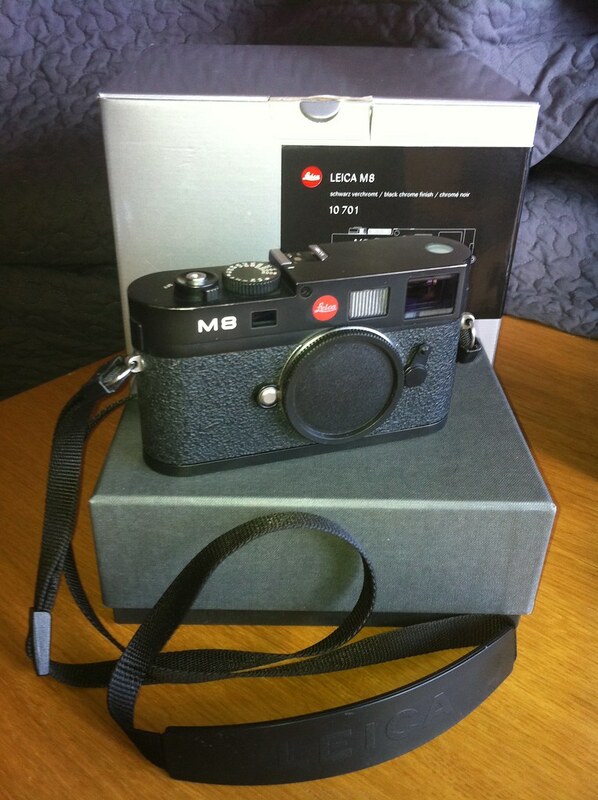 I am selling my beloved Leica M8. The reason is that I never use it anymore. With never I mean less then once a month this year, and that is not enough to warrant the equipment. I did photography during primary and secondary school, proper film photography, even did some darkroom work. I used my fathers cameras. The Canon Canonet QL17 when he got the Canon AE1. 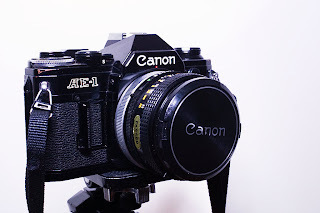 Then the AE1 when he bought the Canon EOS5. I shot mostly birds and pretty views. During secondary school I did less and less of that and then I went to university and didn't do any photography for years. Canon AE1 with 50mm f/1.9 standard lens. In the users guide it is presented as the worlds first whole automatic, electronic camera. That is, it had both aperture and shutter priority, and could use them at the same time in the full-auto mode. It still used film, had a manual film-advance lever and had manual focus. It was a wonderful camera. In 2007 my mother arranged a safari in Kenya. It was obvious that I would need a good camera and that I would need time to learn how to use it again. I quickly bought some film (hard to get in 2007) and got the old AE1 out and put on the 400mm lens and tried to photograph the bird in my garden. It didn't go so well. After perusing the photography sites and forums, as any nerd would, I decided to get a Canon EOS 1D. It was then a six-year-old design, but it had been the first real professional digital camera for sport and wild-life. On the used market is was just on the way out, but those you could get were quite cheap. 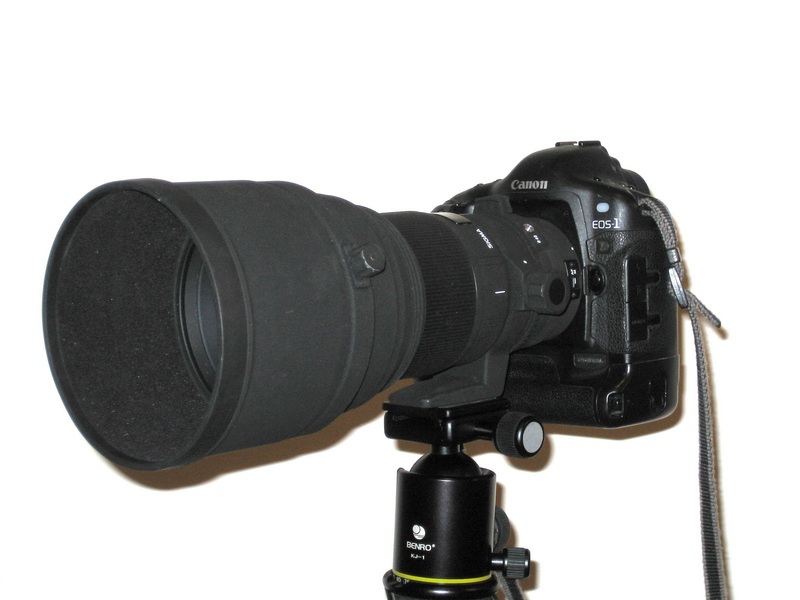 To top that off I bought a used Sigma 300mm f/2.8. Canon EOS 1D the 2001 flag-ship digital SLR with a Sigma 300mm f/2.8. The trip was a huge success, and the camera was a dream to work with. 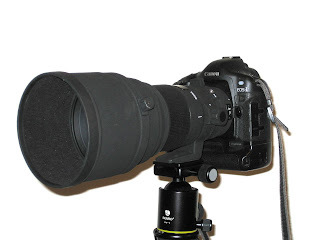 These kinds of truly professional cameras are responsive and fast and built like tanks. It is just amazing to work with one, and they are obviously even better today. I filled up two 500MB memory cards every morning and every afternoon, totaling over 8000 pictures for the seven-day trip. 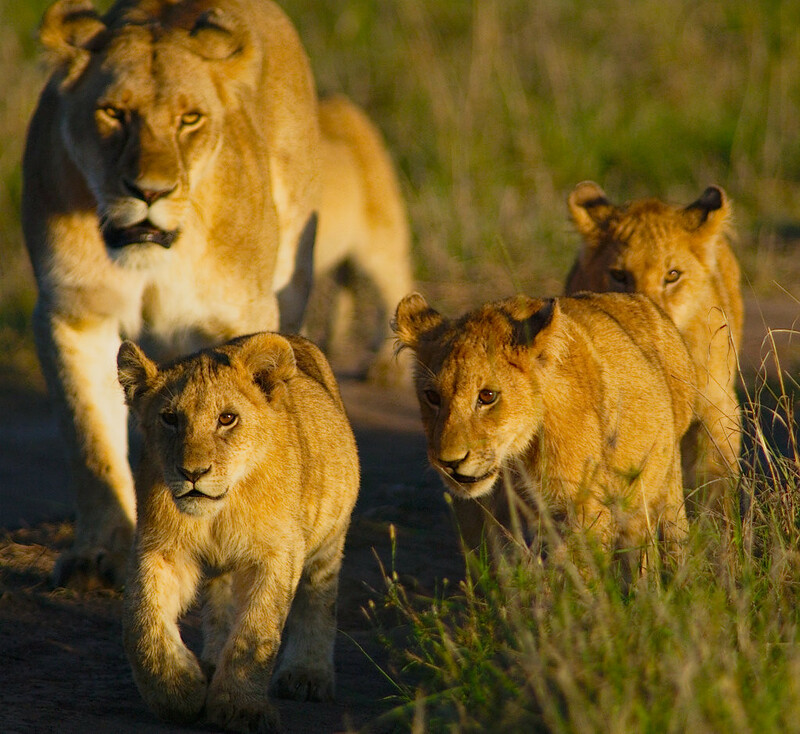 Lioness with cubs in the Masai Mara. On the third morning we met a pride of 17 lions just walking down the road. They walked right up to the trucks as if they owned the road and completely ignored us. Except for one that stopped to scratch an itch against our side door. No matter how pretty the pictures were or how brilliantly the camera performed on safari, it is huge and heavy. My camera bag weighed over 15 kilograms in Africa. Once I was back in Norway this quickly became clear as I didn't get out with it much. If you go out with a four kilogram camera and a camera bag you don't bring anything else, and you would rather not walk too far. 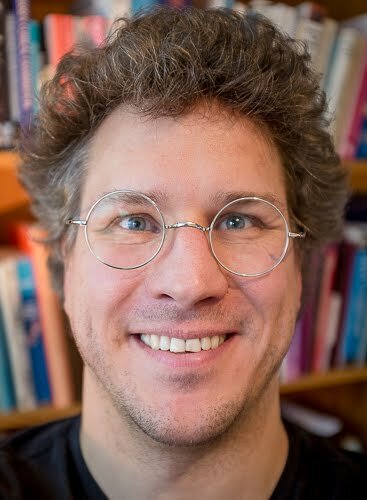 I changed to a Canon EOS 30D that was just a little bit old at that time. 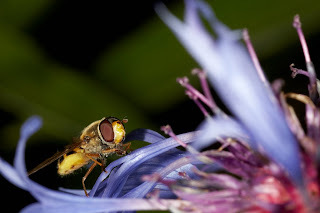 I bought a macro lens (as every photographer is bound to do at some point) and the macro flash (absolutely necessary) and did some macro photography (it's a phase). 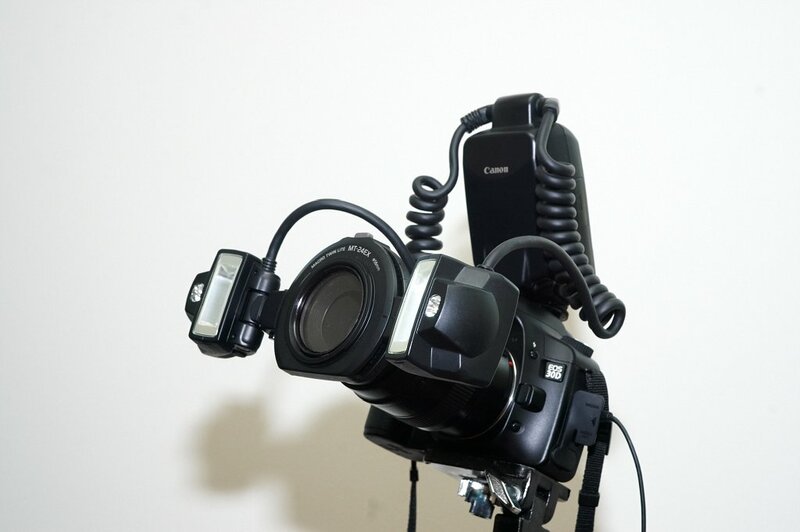 Canon 30D with a 100mm f/2.8 macro and the twin-head macro flash. 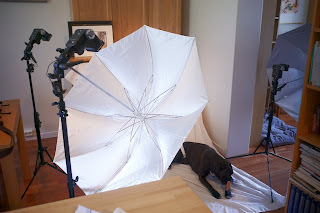 You can do amazing macro photography with this set up, but as it turns out so can anyone else. Fly on flower photographed with the setup above. Search for "fly flower macro" on flickr and you will find another million pictures just like it. Then I sold the lot, and bought an Epson R-D1. At the time a truly unique camera. It was the first digital rangefinder camera and it a Leica M lens mount. I used it incessantly for half a year. Epson R-D1 digital rangefinder camera with a 21mm f/4 Voigtländer color-skopar lens and an external viewfinder. Around that time I also found the fantastic Strobist blog and started doing proper flash photography with my newly acquired strobist kit. The idea is to use off camera flash instead of relying on natural light (which may be fickle) or on camera flash (which looks like shite). 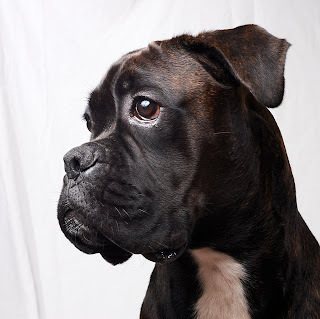 My poor boxer dog became quite good at posing. Strobist kit of three flashes with radio triggers, stands and umbrellas around a bored boxer. About half a year later I sold the R-D1 and bought the Leica M8, which I am now selling. However, before the present state of disuse, I used it quite a lot. Strobist fashion for portraits and I did street photography (which is kind of like photo-journalism but without being a journalist or going to a war-zone), and less pretentiously I photographed dogs. 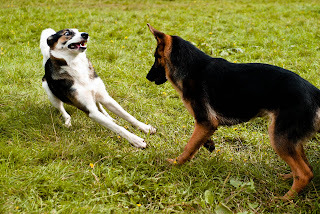 Lots and lots of dogs. Dogs at play in Langeskogen in Bergen, Norway. Some time later I got my first photo printer and started trying to print some high-quality photographs since it was difficult and expensive to get anything decent out of the photo-labs. Learning to print was quite satisfying and took a couple of months before I could do it well enough. Now, I should be perfecting my craft and in another couple of years I might be really good, but as I wrote, my activity is declining. I started out frantically. In the second half of 2007 I shot 68 days. Then in 2008 it was 98 days of the year. In 2009 it decreased to 70 days, and in 2010 to 39 days. So far 2011 I have only photographed 8 days, and at least two of them were completely inane things like using the camera instead of a scanner. So now I am selling my Leica equipment. Leica M8, four lenses and some accessories. It is a bit sad, but a decision had to be made, and with an injured leg I was bored out of my mind and really needed something to do. If you are in Sweden the advert is at Fotosidan.se and there are more pictures in my flickr photo stream. The asking price is SEK 22000, or about €2400 (Edit: Now, just a few hours after the original post, the camera is gone. I must have charged too little).